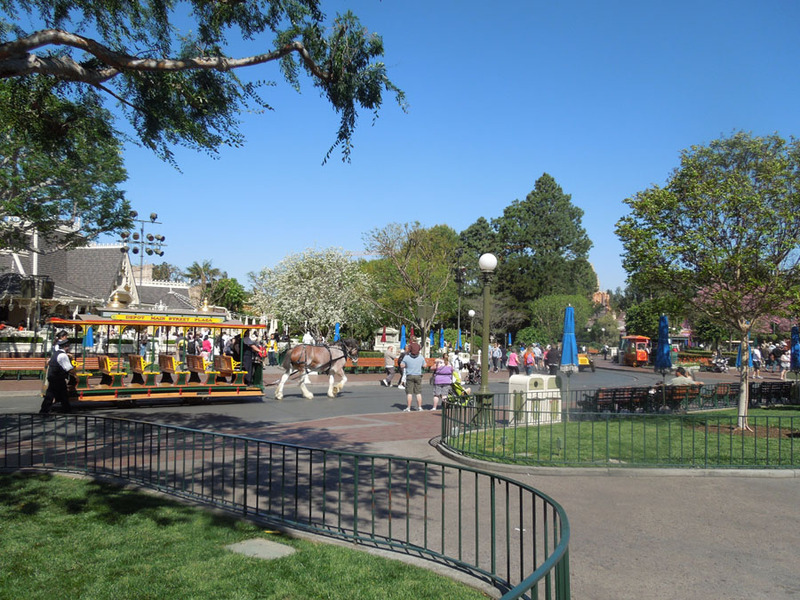 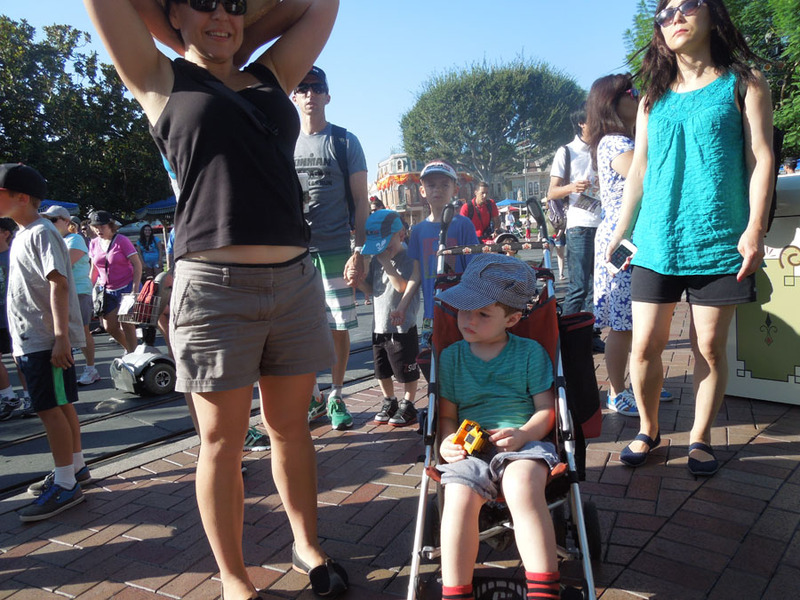 The north circle, also known as center circle, forms the centerpiece of the whole of Disneyland. 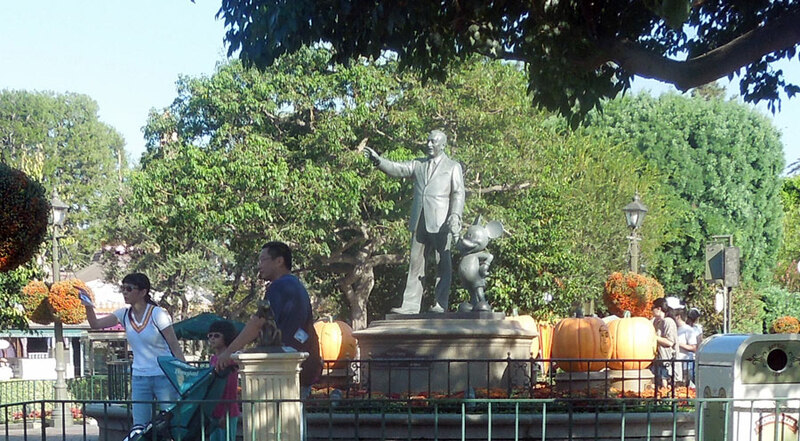 In the center of the circle stands a statue of Walt Disney and Mickey Mouse. 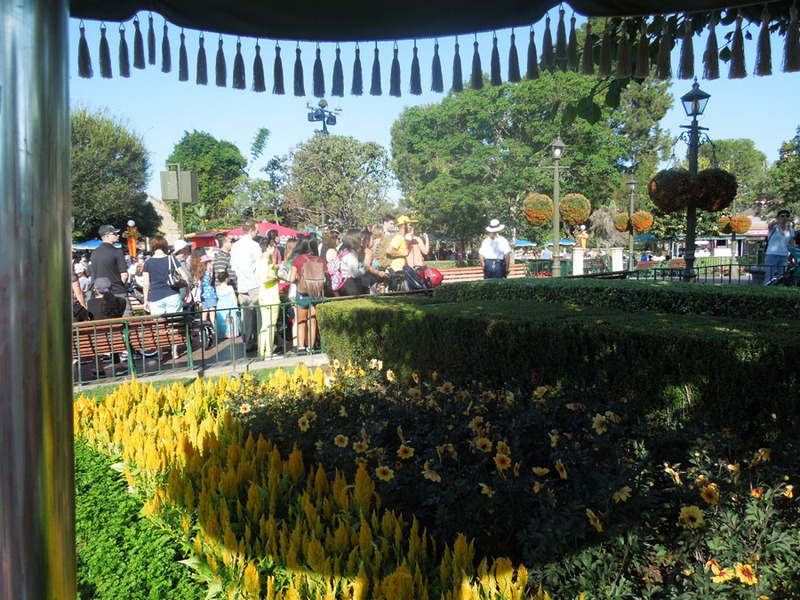 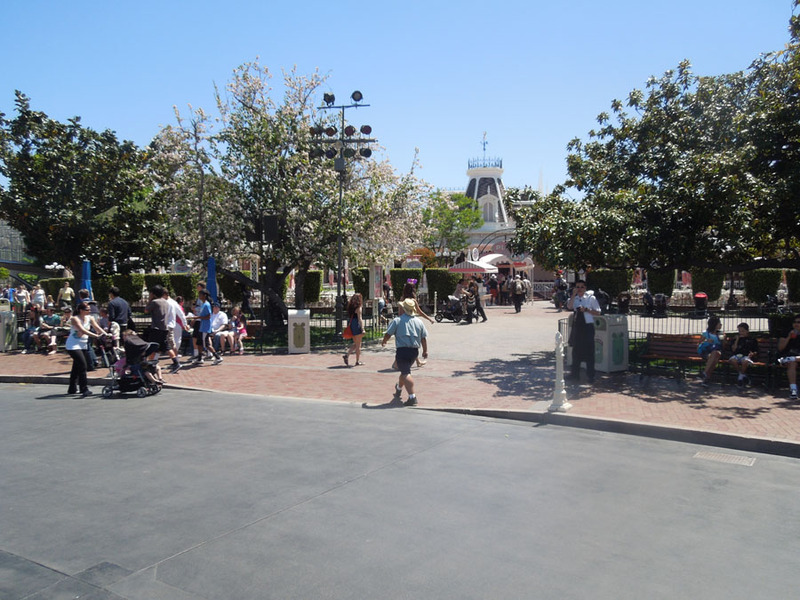 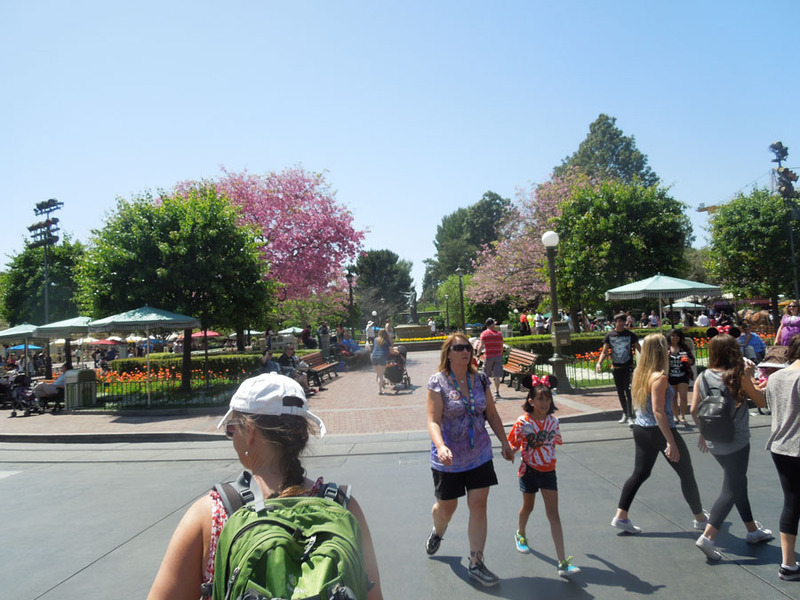 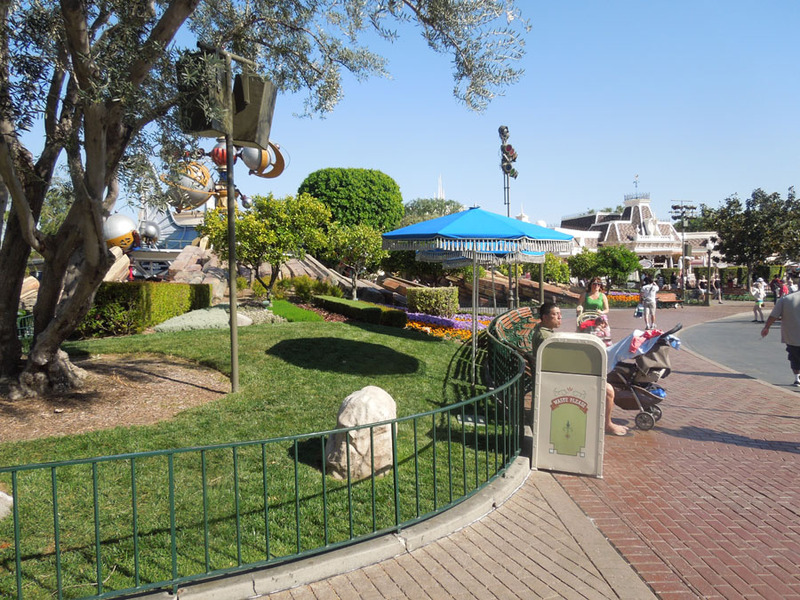 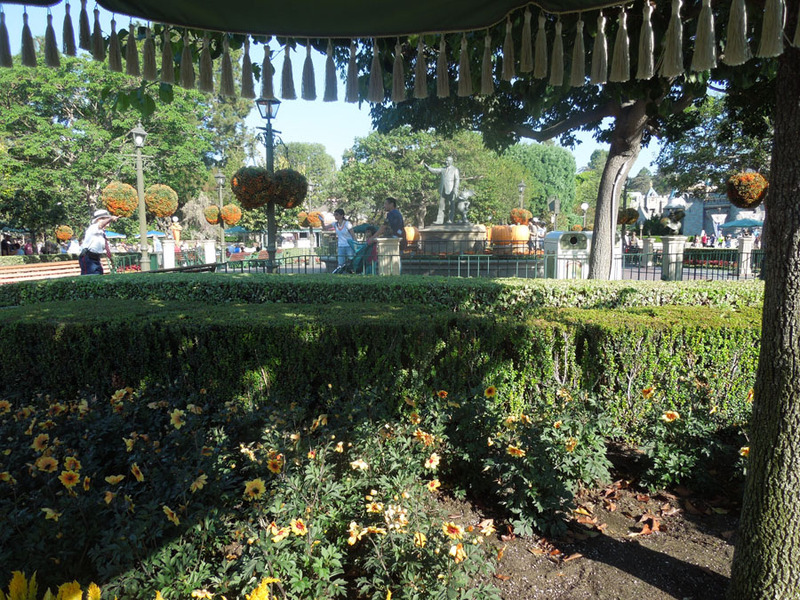 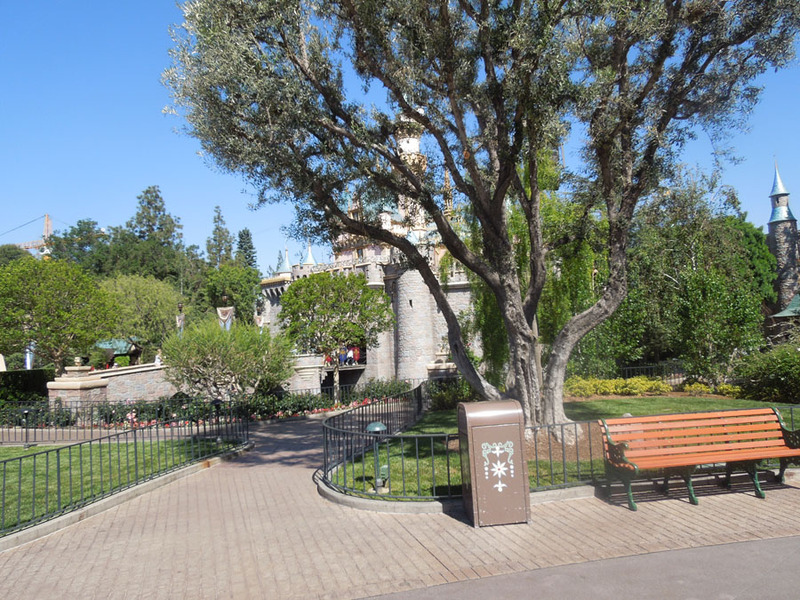 There are four segments of ornamental flowers, trees and shrubs surrounding Walt and Mickey. 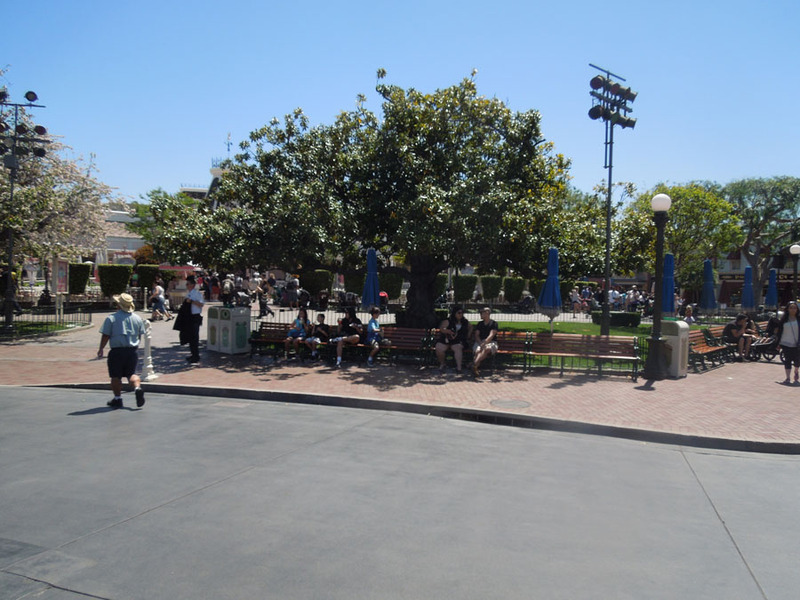 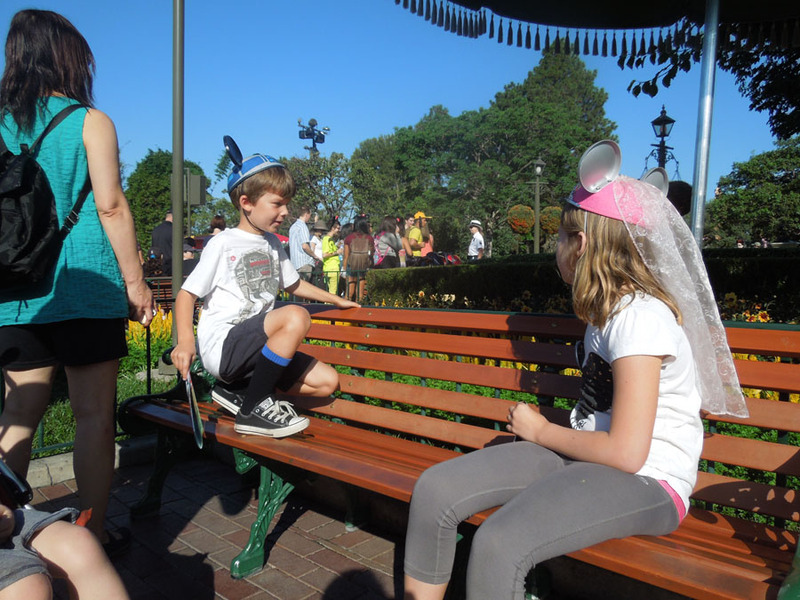 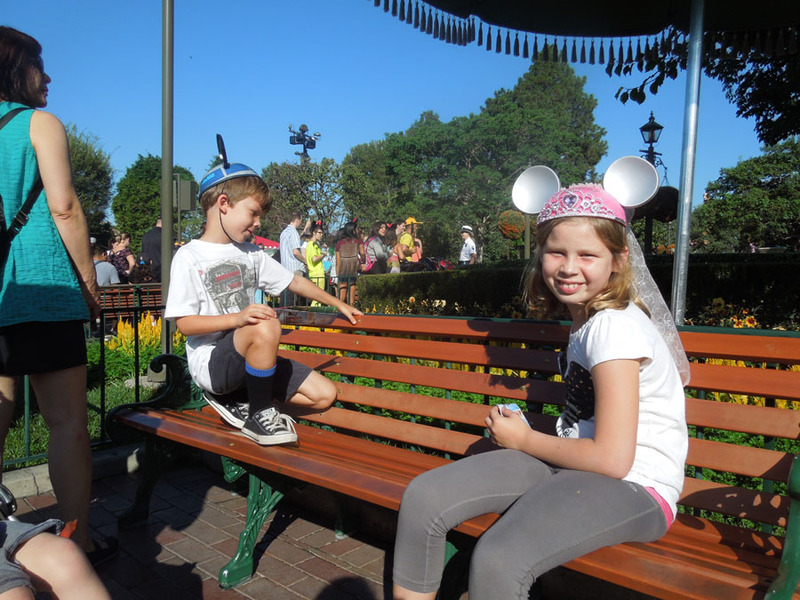 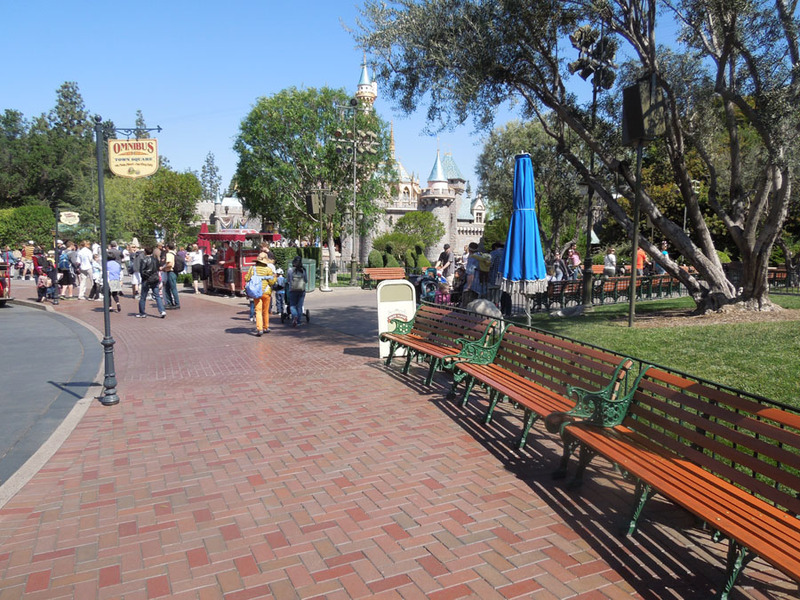 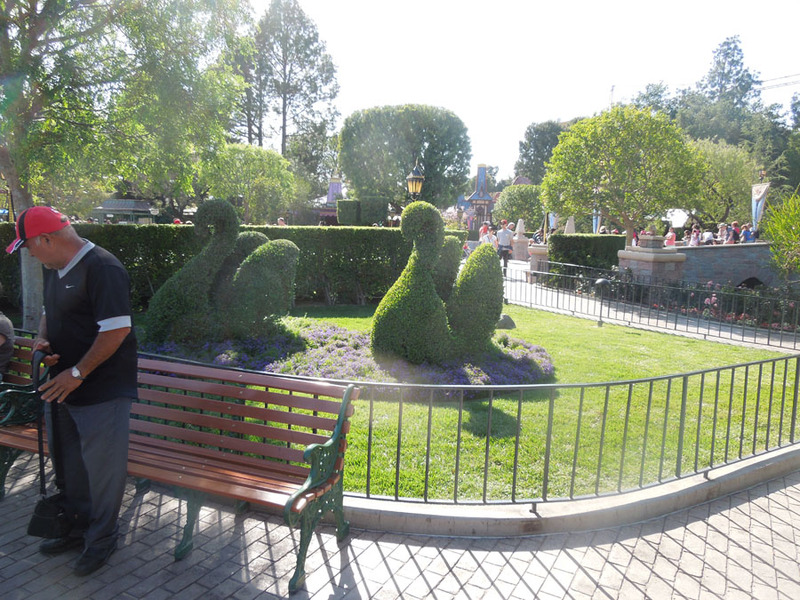 Benches next to the Omnibus stop. 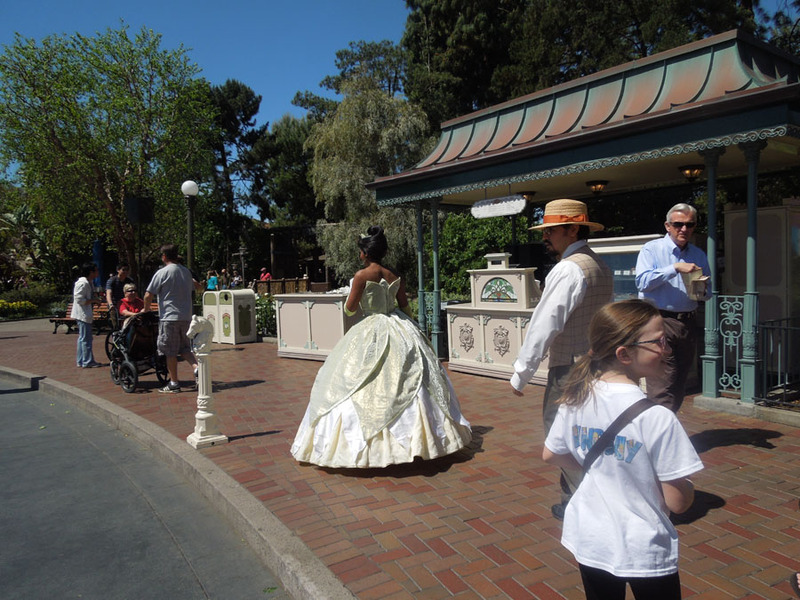 Tiana spotted near the Frontierland entrance. 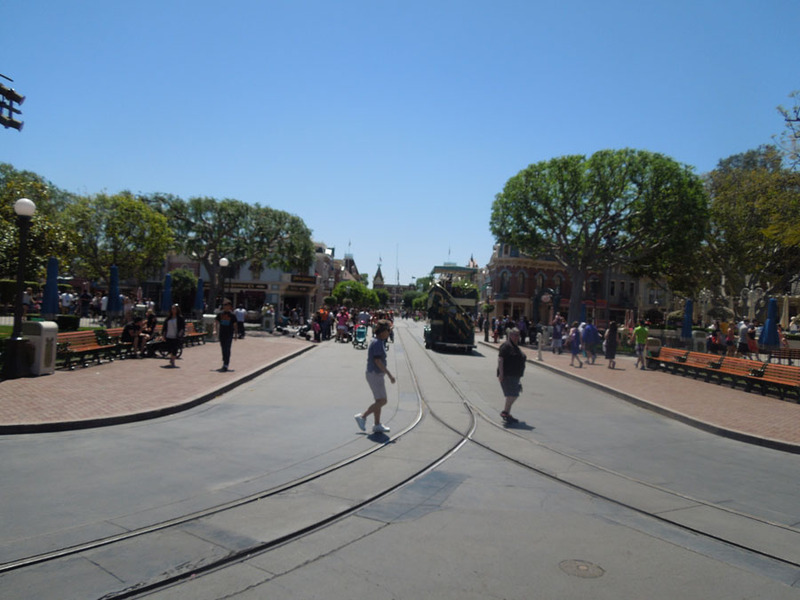 At the top of the circle., a couple of main street busses on the way. 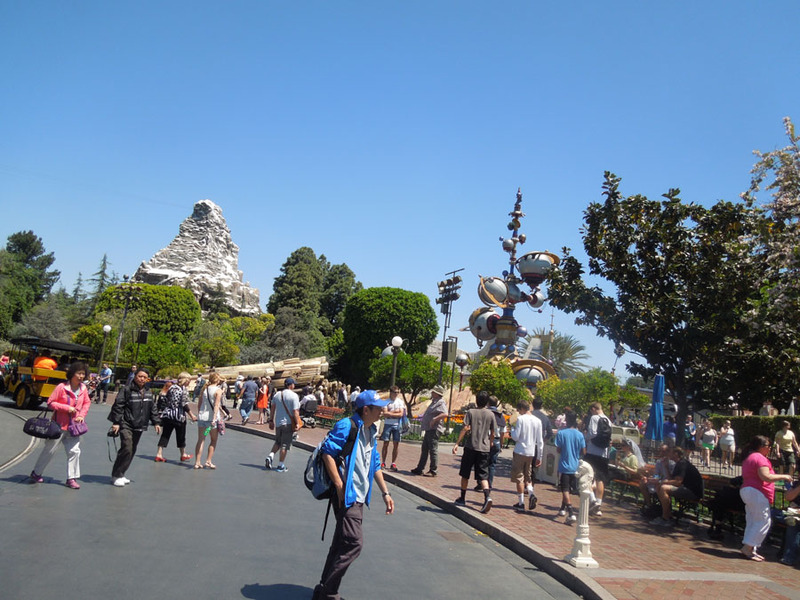 Space Mountain in the distance. 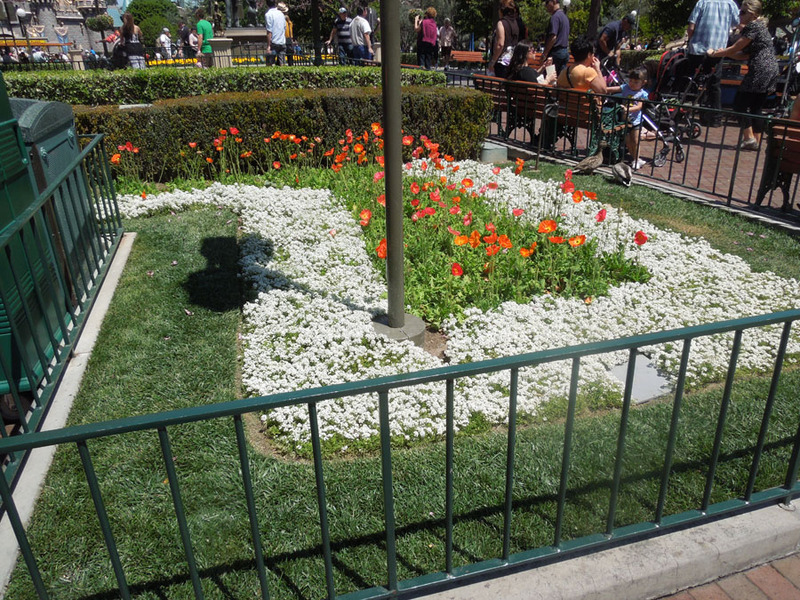 Detail from one of those center circle vegitation circles. 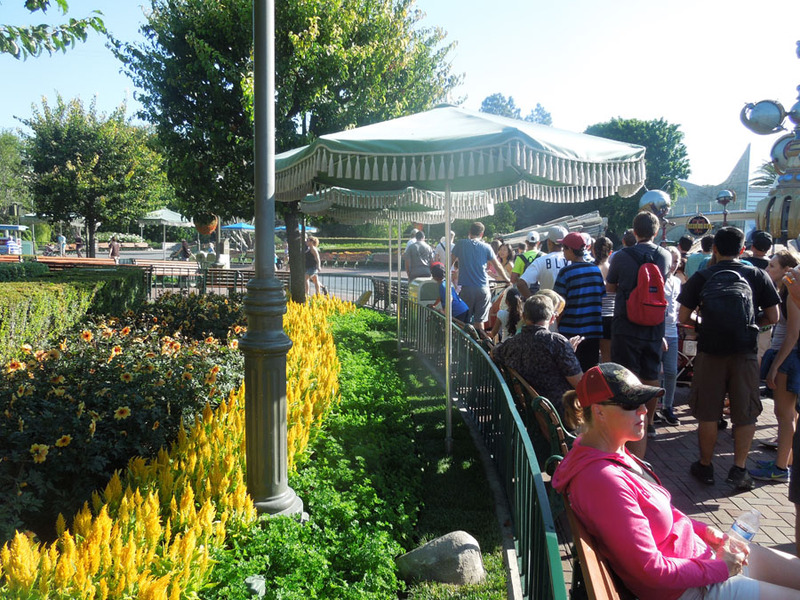 How do they get the lawn mower in here? 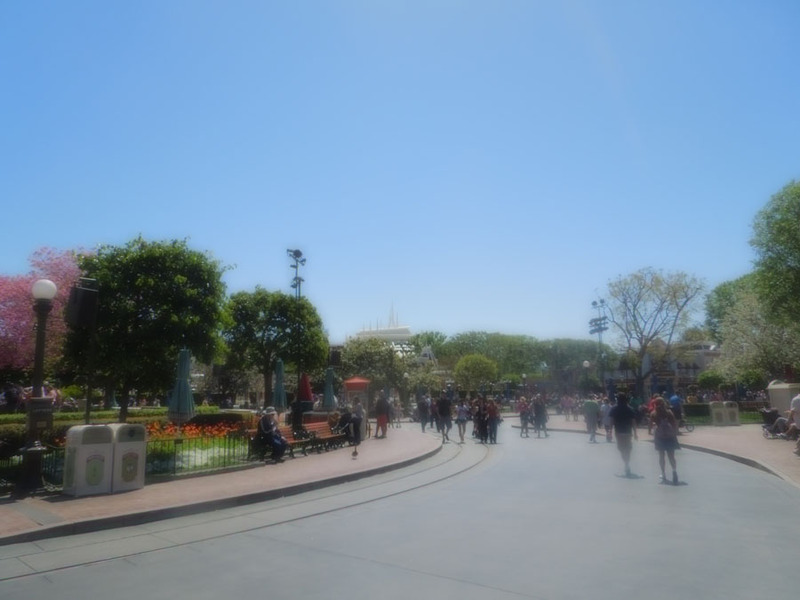 Looking south from the center circle. 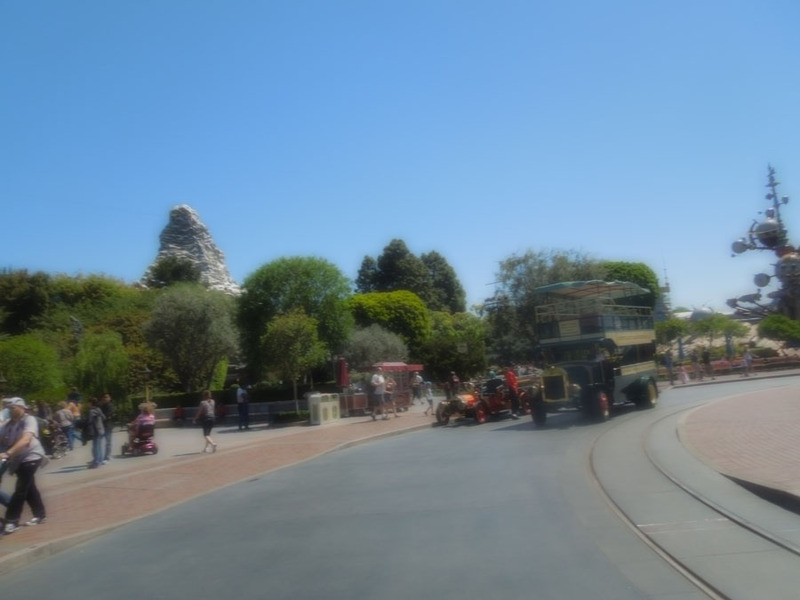 Here is where the tracks split into a circle. 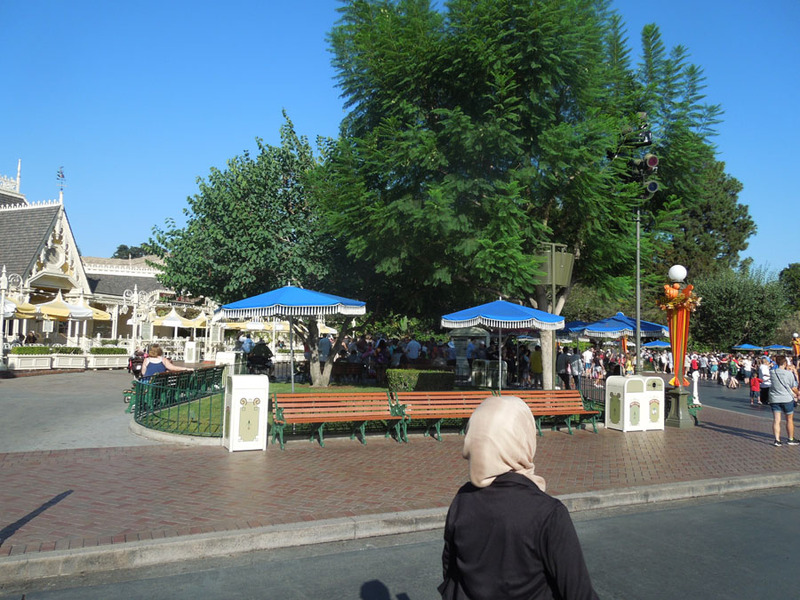 Looking south at Plaza Inn. 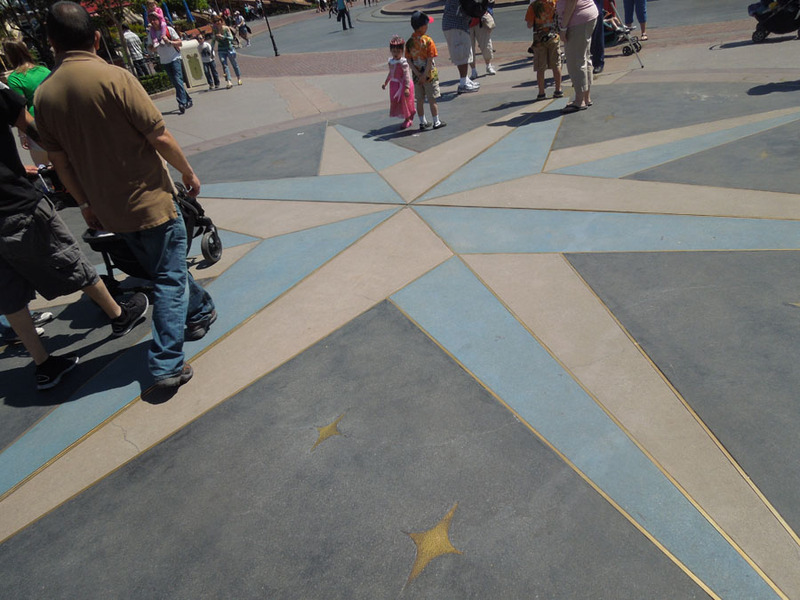 Here's a rotten photo of the compass star between the center circle and Sleeping Beauty's Castle. 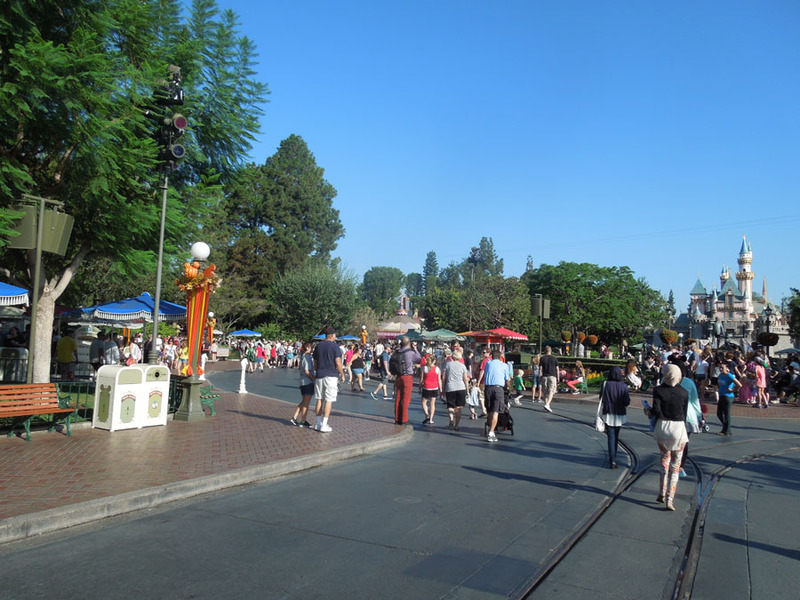 Looking south to Plaza Inn. 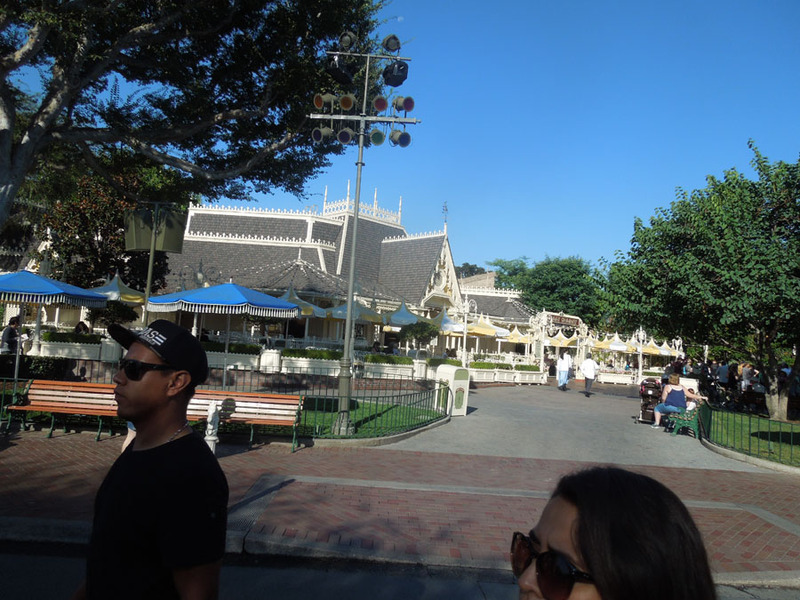 Plaza Inn from the street. 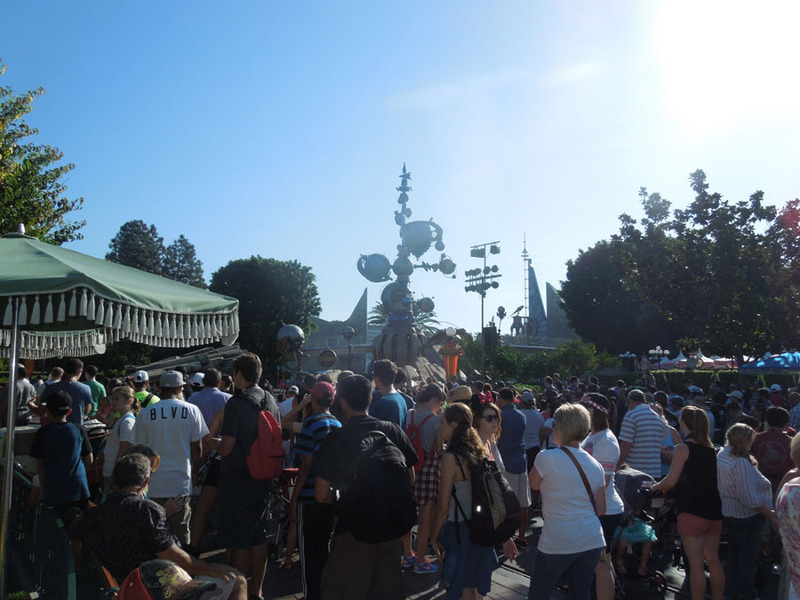 Crowd gathering for the parade. 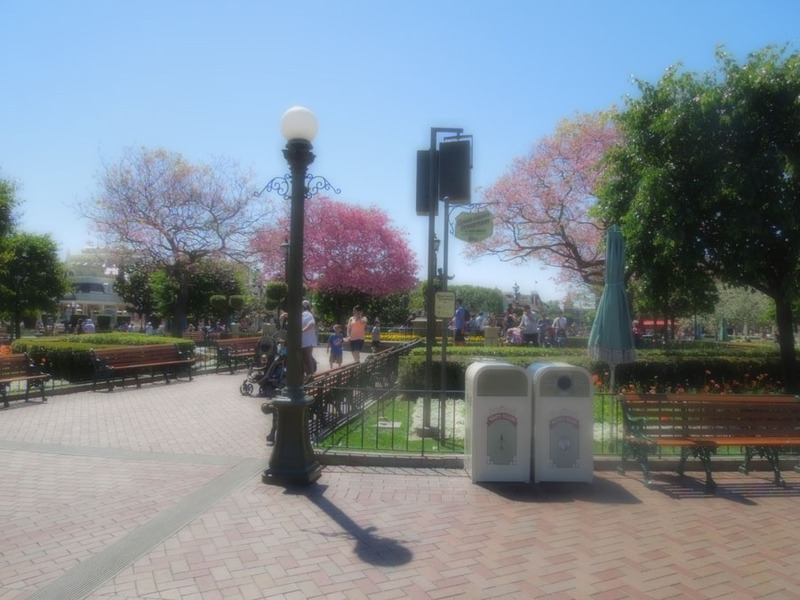 That's the Jolly Holiday restaurant on the left. 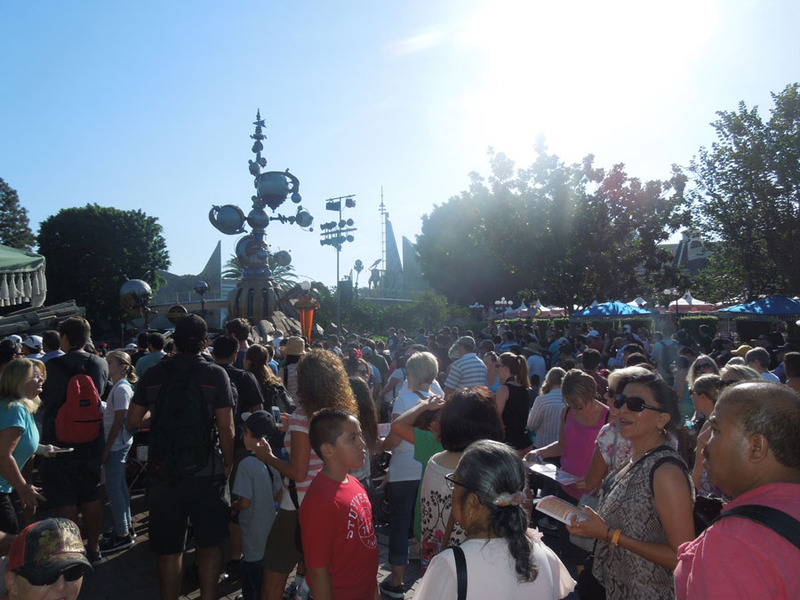 Crowds waiting for the chains to drop, waiting to rush into Tomorrowland. 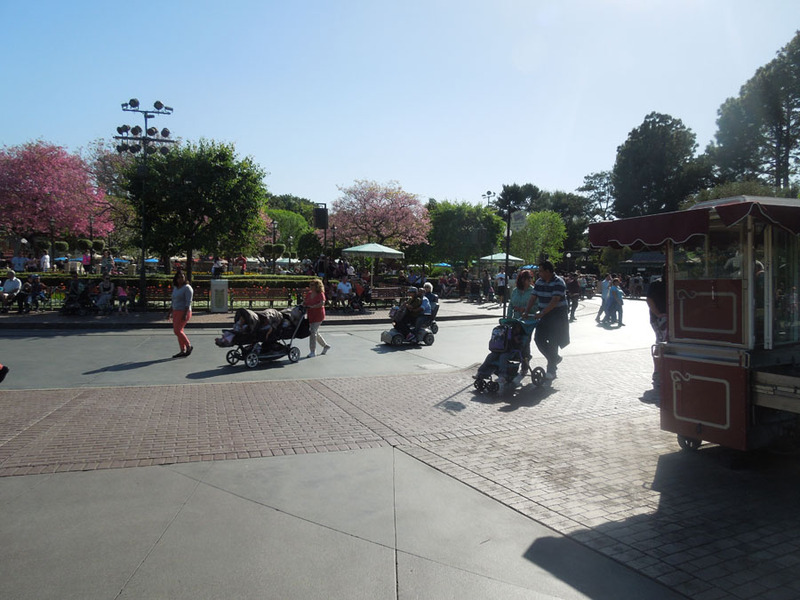 That's right, they let you in, all the way to the center circle before opening time. 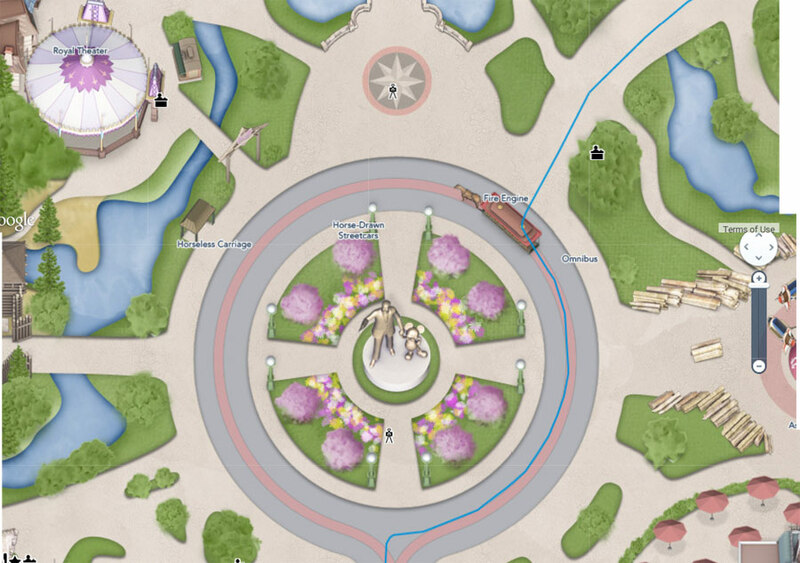 Please continue reading page 2 of North Circle pictures.